Well, the holiday is nearly over, and I finally have time to take a breath – and sit down at the computer! It has been a busy but beautiful weekend! I’m going to set-up this post like the previous “Wrap” posts. I hope you enjoy catching up on me (and taking a break from the book reviews). Word to describe the weekend: I’m going with gorgeous because of the sunny, mostly mild days we had. Granted, they started off chilly, but the afternoons were very pleasant. It made for nice traveling weather. Books: I just finished reading Chloe Neill’s book, Wild Things (Chicagoland Vampires #9). I have to say I really enjoyed it – even gave it 5 stars. Now, I can get started on J.R. Ward’s The King. Yay!! I’m so looking forward to that one! Exercise: It is harder and harder to get to the gym. With Spring finally here, I want to be outside. I did go for a run Friday morning on the Rail Trail. I did about 3 miles in 27:44. My goal is to run a 5K in 27 flat. I’m not a fast runner (never have been), but since my knees won’t let me run half marathons anymore, I’m going to work on my 5K time. I did squeeze in a quick workout at Planet Fitness with my cousin on Saturday. I just love the ab coaster! I know, I’m weird. It works so well that I wish my gym would invest in one. TV/ Movies: I’m still watching Arrow. Since I don’t get the CW, I watch it on Thursday on my iPad. It is a nice almost-end-of-the-week treat. In this past week’s episode, Felicity had some awesome lines – you go, girl!! 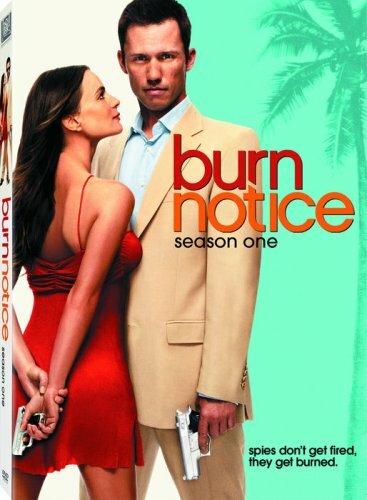 My current Netflix obsession is Burn Notice. I just love Michael and Fiona. Sam cracks me up, and Maddie is a force all on her own!! I like the addition of Jesse to the cast. My one wish is that Michael and Fiona would be a couple again. They are so perfect for each other! Oh, and have I mentioned how much I like Michael’s sunglasses?? Doesn’t hurt that he’s always eating yogurt either. I think that about covers it! Back to laundry for me. Then, I will be cracking open The King. Enjoy!